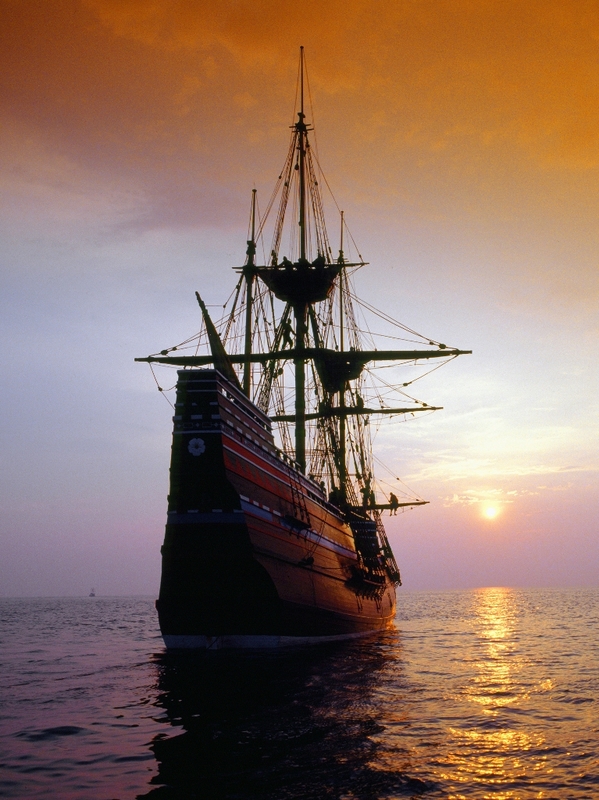 Join us for an unforgettable private 5 day adventure across the UK tracing the journey of the Pilgrims who set sail on the Mayflower in 1620. Discover the villages where the leaders lived, and where the Separatist movement was born, the churches where they worshipped, the cells where they were held and the very places where they stayed, ate and set sail. A once in a lifetime experience commemorating the upcoming 400th Anniversary of the voyage that shaped America! Price: From £350 per day based on 2 people travelling. £400 for 3-4 people etc. Remember all our tours can be adapted to your wishes. Simply get in touch to arrange your dream itinerary. We’ll collect you from your transatlantic flight or hotel and start our tour straight away!Our destination on day 1 will be the Nottinghamshire and South Yorkshire villages where the whole Mayflower story began! Arriving at lunchtime, we’ll enjoy a meal at a local pub – maybe The Pilgrim Fathers at Scrooby – where we will meet our local guide. The afternoon visits will take us first to Babworth Church, known as the ‘Church in the Woodland’.In this 900 year old church Richard Clyftons preaching was hugely influential, and eventually led to the Separatist movement. Next stop is Scrooby, where William Brewster was brought up. The Manor House was where the new separatist congregation held their illegal services. It is privately owned but our local guides have arranged some exclusive access to the property subject to availability. We then head on to Austerfield,to see the very font where William Bradford, who went on to govern the new Plymouth colony for over 30 years, was baptised in St Helenas Church. It will be then time to go to the hotel of your choice for dinner and your overnight stay. Possible tour extension: you could add an extra day or two here to visit the magnificent City of York, and/or take a tour of Sherwood Forest with Robin Hood himself. After breakfast ,our first destination is Gainsborough Old Hall. One of the most complete medieval manor houses to survive in the UK. In the early 1600’s it was home to the Hickman family who had separatist sympathies. It is entirely possible the house was used for separatist services, possibly led by John Smyth, who regularly had William Brewster ad William Bradford in his congregation. We leave Gainsborough, heading to Boston. It was here in 1607 that the Pilgrims from Scrooby and the surrounding area sought their first escape to Holland in search or religious freedom. They had paid for a sea crossing only to be betrayed and arrested. We’ll see the spot where they were rounded up and also visit Boston Guildhall,and see the very courtroom where they were charged, and the two tiny cells where the leaders of the group including Brewster and Bradford were detained. We’ll also visit ‘The Stump’,St Botolph’s Church. After our overnight stay in Boston, we’ll need a fairly early start to our next destination – Rotherhithe in London, and the Borough of Southwark on the South bank of the River Thames. This was the Mayflowers home port (though she was built in Harwich) and the ship’s Captain,Christopher Jones was buried in the Churchyard. The historic Mayflower Inn, said to be the oldest pub on the Thames, is a wonderfully atmospheric location for lunch. It also has a Mayflower descendants book, and those who can prove their credentials are invited to sign it. We can also visit places such as St Mary’s Church, Southwark Cathedral with its links to Harvard University, The Clink Museum or the Golden Hind, the replica of Drakes 16th Century ship which will give a great insight into a life at sea during the period leading up to 1620. Time to head to your choice of hotel nearby. Why not extend your stay in London to see some more of the sites? The Tower of London, Tower Bridge, Shakepeares Globe and Borough Market are all nearby. We leave London heading West, past Stonehenge and crossing into Devon. We head to the beautiful river Port of Dartmouth. It was here that the Speedwell had to put in for repairs . We see the place where the Mayflower laid at anchor and visit Bayards Cove with its lovely old pub. Our guides will be Les and Liz Ellis, the town crier and Consort in their full regalia. It’s a 45 minute drive to the historic maritime port of Plymouth, where the Mayflower finally left on its famous voyage, one of many significant adventures to leave from this famous city. We’ll visit the historic Barbican area and see the Mayflower steps and Museum and also Island House where many of the Pilgrims lodged whilst in the town, before heading to your hotel. We continue our exploration of Plymouth with a visit to The Blackfriars Distillery and home of Plymouth Gin. The refectory is said to be the room where the Pilgrims had their final supper before departure. We may take an optional guided tour of the Plymouth Gin distillery. your stay by visiting more of beautiful Devon and Cornwall or extend your stay with a genealogy tour tracing your family history in the area?